Total PDF Converter is great to convert PDF to JPEG. First, it processes any number of PDF files in one go. 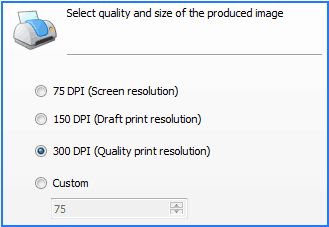 Second, the resulting JPEG files are fully adjustable: you select the quality of the files - from screen resolution 75 DPI to high quality printing resolution of 300 DPI. While other PDF converters produce the JPEG based on the file size of the original PDF file, our program allows setting any page size you need. Total PDF Converter doesn't only convert .pdf files to .jpeg. It is packed with additional handy features. For example, if you convert a multi-page PDF file to JPEG you may write all the pages in one JPEG file or create a separate JPEG file for each page. 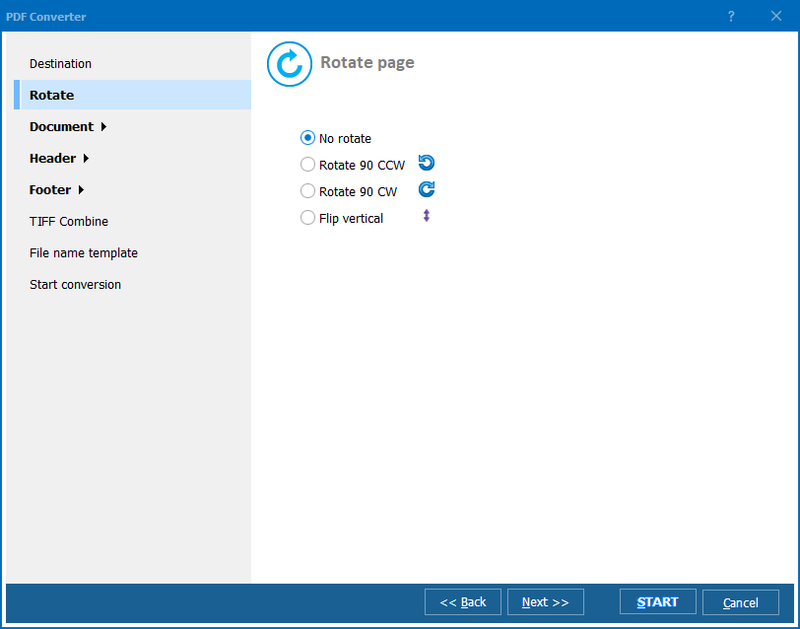 Total PDF Converter can further combine some pages into one fileand place 2 or more pages by width - just set the number. 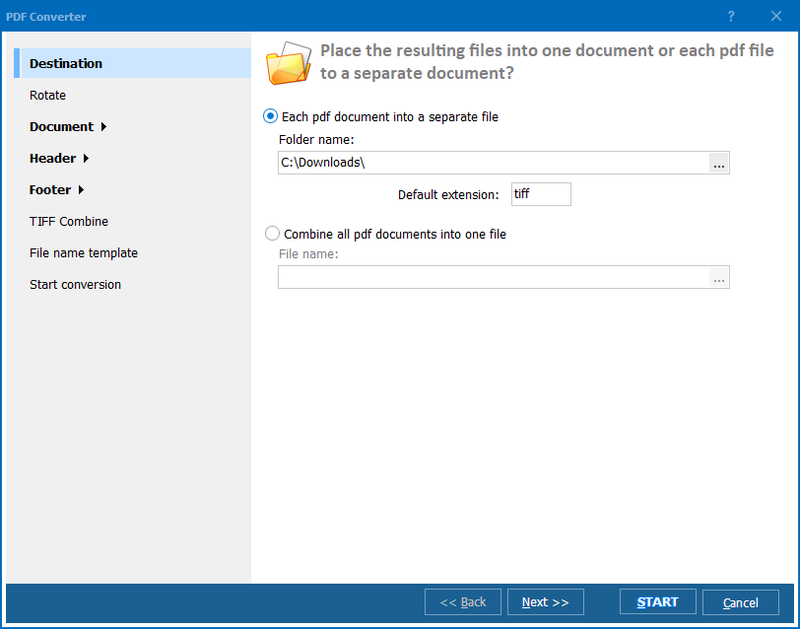 Total PDF Converter has a built-in file renamer. It comes in handy when you choose writing each page to a separate JPEG file and want to give descriptive names. By default, the program suggests [Name].page#.jpg template. For example, you convert a PDF file Book.pdf that consists of 10 pages. Setting this template means that you will get 10 JPEG files with name Book.page1.jpg, Book.page2.jpg, etc. Besides, you may start numerating from any page (check Start Numerating box). 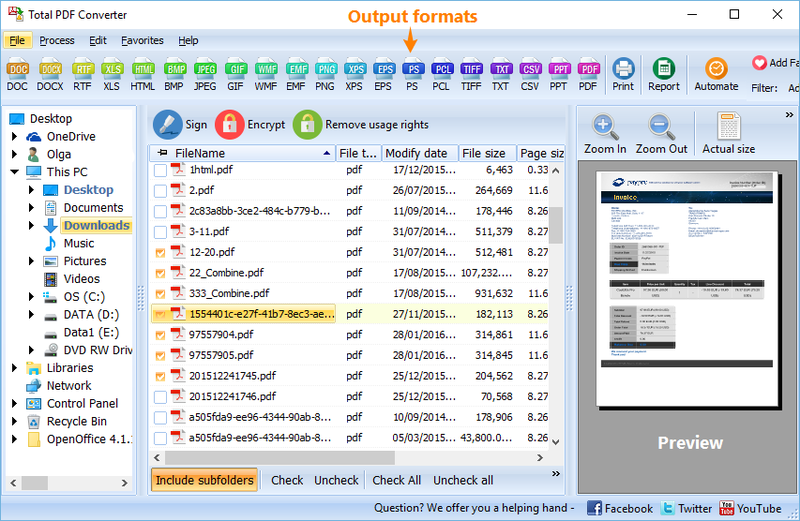 Total PDF Converter has a user-friendly interface. You select the file you want to convert to JPEG from the file tree on the left. The contents of the selected folder is displayed in the main panel. Here you get all the info about each PDF file: name, size, type, modify date, attributes, title, author, subject, page size, and page count. Select the file and press Convert to JPEG button. It can also convert PDF files to JPEG via command line. As you see Total PDF Converter is very easy-to-use. The wizard will gather all the necessary information and will even suggest you the most appropriate settings if you are at a loss. 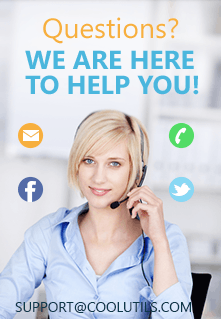 Try it for free now - no obligation. If you like the tool you may register your copy later.